Wait no longer! 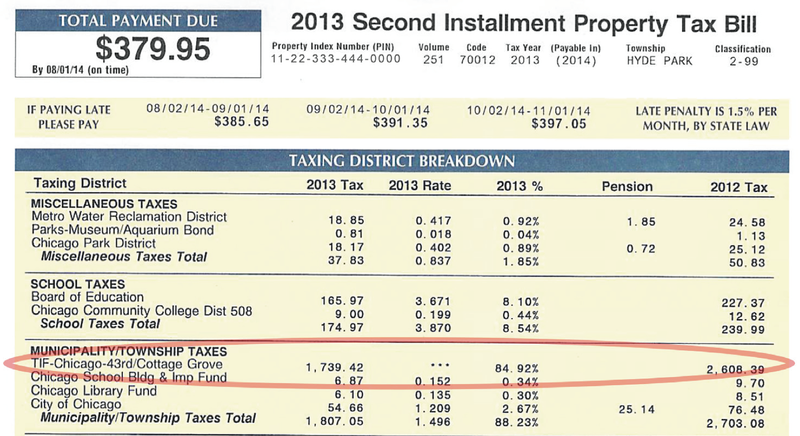 The Cook County Clerk's office made good on its promise of taxpayer transparency and has issued property tax bills containing information about TIF for each individual property owner. For that we congratulate them on bringing needed sunlight to TIF in Chicago and other municipalities in Cook County. We hope jurisdictions across the country take notice of Cook County, Illinois. Taxpayers have a right to know how their taxes get spent. With so much property tax revenue in Chicago never ending up in the city's general revenue fund, printing TIF costs on tax bills enables citizens to make better judgements about the value of TIF projects and how their taxes get spent. We applaud such efforts.